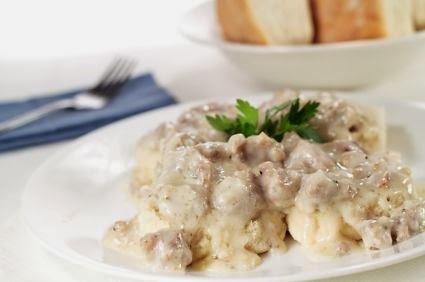 Simple and easy and taste really good over some homemade biscuits. 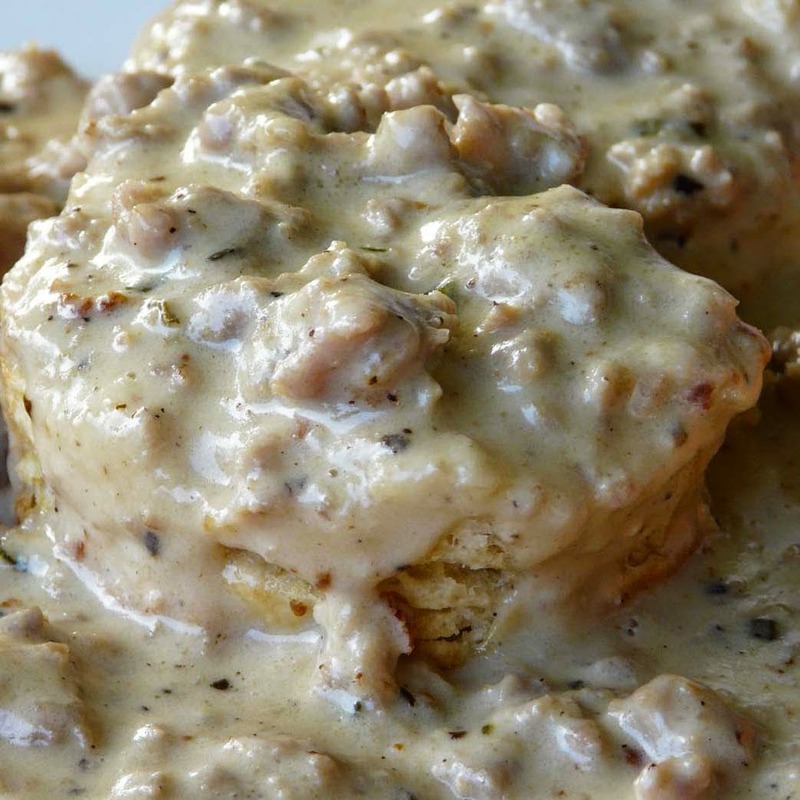 bring some New Orleans favors into your breakfast table....Creole Chicken Sausage Gravy over biscuits. Preheat the oven to 450F. Grease a baking sheet. Place the flour in a large bowl. Add in the butter, and using a pastry cutter or a fork, cut the butter in until crumbly. 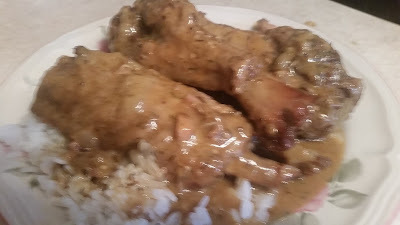 Cover and place in the refrigerator for 10 minutes. Add in the buttermilk slowly and stir just until combined. Turn the dough out onto a surface lightly dusted with flour. Knead the dough 3 or 4 times, adding flour as needed to prevent sticking. Pat the dough into a rectangle about 3/4 inch thick. Fold each side over to the center, as if folding a letter. Repeat 2 more times, beginning with patting the dough out. Pat the dough out 1 more time until it is about 1/2-inch thick. Cut into circles with a biscuit cutter dipped in flour. Place on the prepared baking sheet. Bake for 12 to 15 minutes, until lightly browned. Remove from the oven and brush with melted butter.